I've seen a Lipstick Tag going around but unfortunately I am not the biggest fan of lipstick, I'm yet to find one that stays well without making my lips dry, so instead here are my favourite lip products! 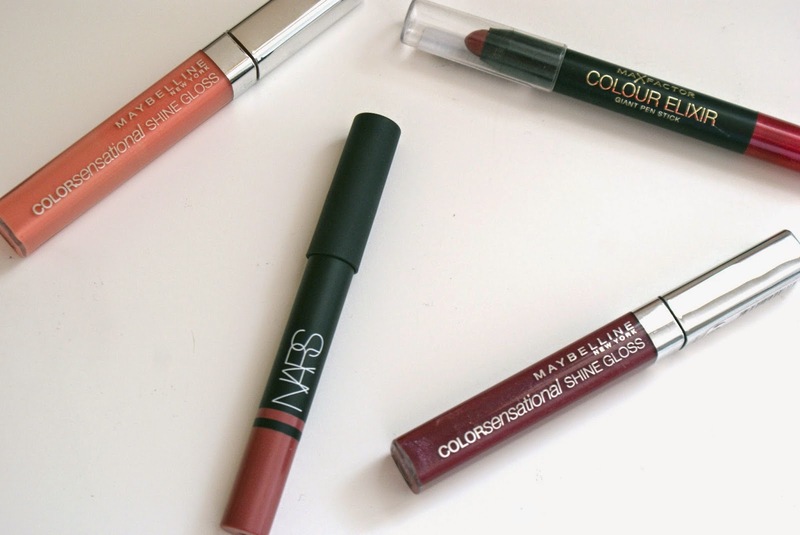 A little while ago I asked some of you bloggers what your favourite brand and shade of lipgloss currently was as I decided to venture into the sticky world of lipgloss. The one that was most highly recommended was Maybelline's Colour Sensational Shine Gloss so on my next trip to Boots this was top of my list to look at. Seeing as there was a 3 for 2 offer on I chose two very different shades; Cashmere Rose which is the pink and Stellar Berry which is the deep berry colour. Cashmere Rose is my favourite out of the two, I wear it over my Maybelline Baby Lips lip balm which gives a good base colour to make a coral looking lip which is great for summer. I picked up Stellar Berry as I'm a sucker for red lips or a very deep and dark pink so this shade is perfect for me, it doesn't apply as red but more of a very deep burgundy, with just one layer it becomes more pink but if you apply a few thick coats it really becomes this burgundy shade which although may not be appropriate for summer will be fantastic later on in autumn/winter! In that same shopping trip I also picked up Max Factor's Colour Elixir lip pencil in Passionate Red with the hope it would be a good alternative for Nars' products. I absolutely love this product, it applies as such an intense vibrant colour, is smooth on your lips much like the Nars pencils and lasts well throughout the night no matter how many drinks you have! 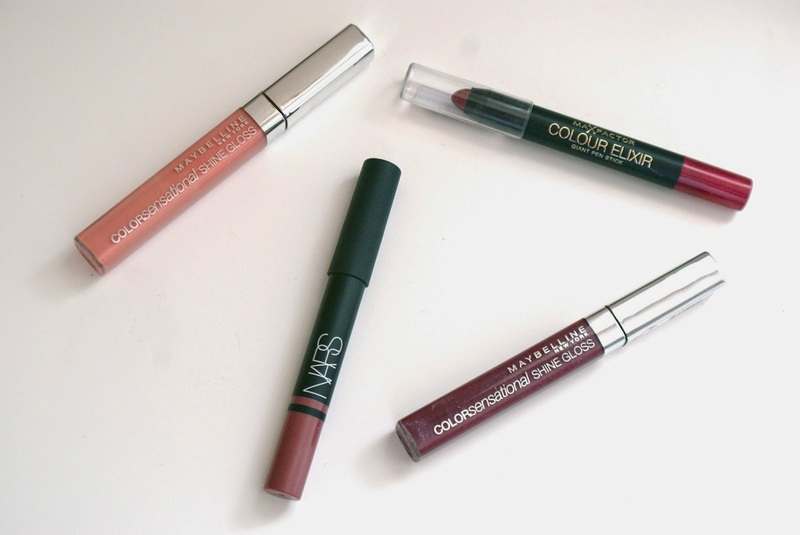 After a long wait I recently converted to Nars, I had been eyeing up which shade I wanted in the Satin Lip Pencil so when I was shopping in Birmingham I made a point to stop by their store in Selfridges and test a few out. My favourite out of the ones I tested has to be Rikugien. The lady at the store sold it to me as a 'natural' shade but personally don't agree too much with that; it's more of a darker and deeper rose pink, almost if you took Kylie Jenner's new favourite lip colour and added a sheen to it. But none the less I love the colour and how well it lasts, it's become one of my everyday staples and I can't wait to stock up on more of the Nars lip pencils.